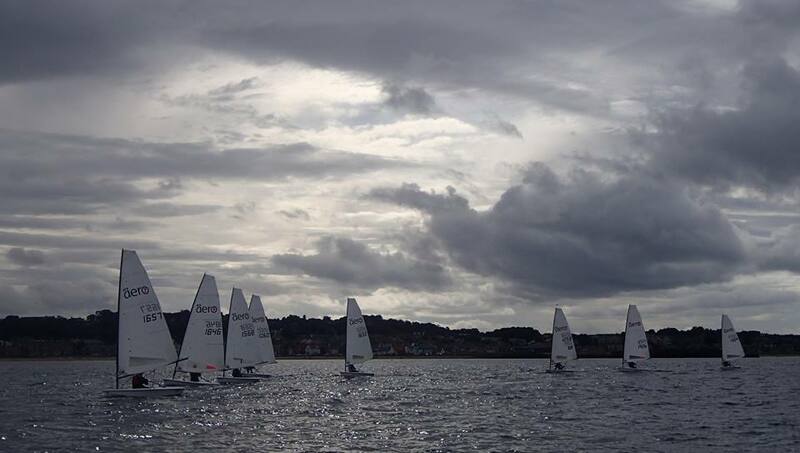 ELYC in North Berwick on the East Coast of Scotland near Edinburgh hosted the first Scottish Aero Champs: round 4 of the 2016 Northern Circuit. 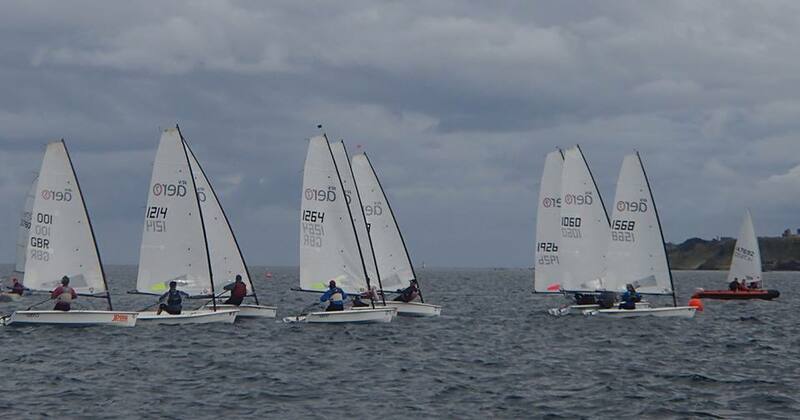 Visitors from Aberdeen & Stonehaven, Bassenthwaite, Yorkshire Dales, York RI and Whitstable joined the local boats to give a respectable fleet of twelve Aeros, with all rig sizes represented; four 9’s, seven 7’s and a single 5, racing together with handicaps applied. Also on the racecourse were over 30 local boats for the annual ELYC closed club regatta. With a southerly wind blowing offshore, forecast to drop and swing to the east, PRO Ted Hill set a good old triangle-sausage course between the island of Craigleith and the Bass Rock, with the aim of sailing four 30 minute races. With a shallow depression tracking across the region over the course of the day and an offshore breeze, the wind was shifting significantly with big gains to be made by being in the right place! 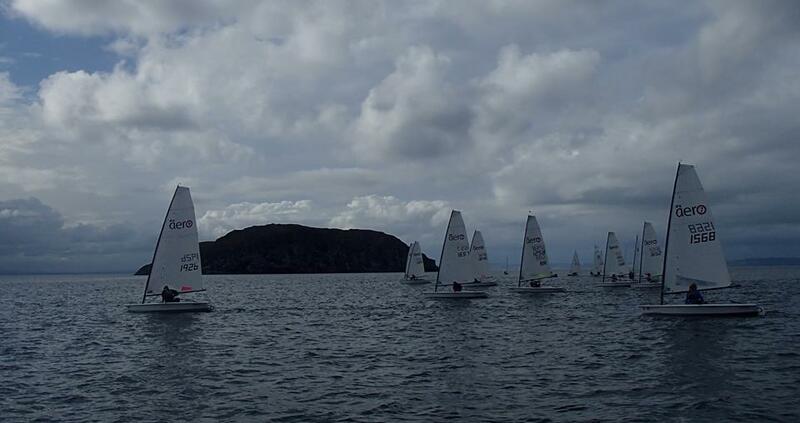 The first two races were sailed in a moderate breeze, the 9’s of ELYC commodore Robbie Lawson and vice-commodore Iain McGonigal were to the fore, but showing very well in a 7 rig was Aberdeen and Stonehaven sailor John Olson. Robbie got far enough ahead to take race 1 on handicap from John with Iain third. Race 2 was a duel between Iain and Robbie, with Robbie winning out by just a few seconds. Caitie Atkin (7 rig) just pipped John Olsen for third. By race 3 the wind became even more fickle and dropped significantly. The right of the course was the place to be and those who weren’t there (mainly the ‘9’ rigs) lost out and had to fight through the fleet for the rest of the race. Three of the 7’s finished within 3 seconds of each other to take the top places; a dead heat was the decision between John Olson and Chris Perry, with Caitie Atkin again a very close third. A shift just seconds before the start of race 4 caught out a few on the line. John Olson again started well and sailed the light (occasionally almost non-existent) and shifty breeze very well to lead by a significant margin over Iain at the windward mark, with the rest of the fleet some way back. Iain gradually reeled John in over the remainder of the lap and eventually squeezed past on the last leg to the finish, however it was another win for John on handicap with Iain second and Steve Fraser of ELYC third in a 9 rig. Overall with one discard from the four races, John Olson deservedly took home the bottle of NB gin and the title of Scottish RS Aero Champion. Robbie Lawson did enough in the first two races to secure second overall, with Iain McGonigal third. 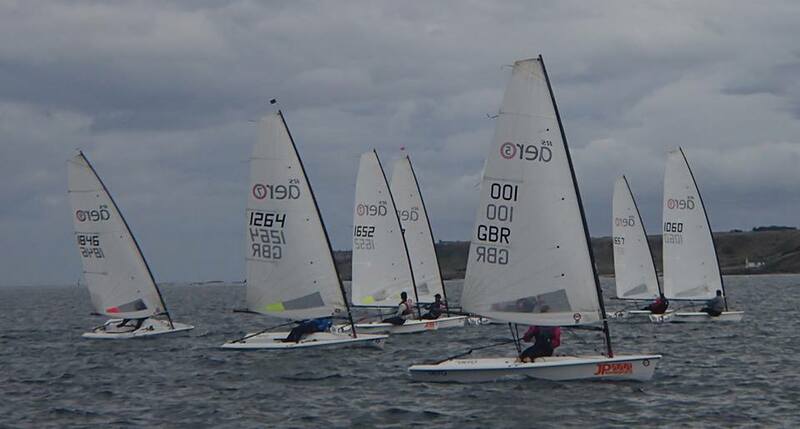 For ELYC it was great to host Scotland’s first RS Aero Champs for this friendly fleet and we hope to have them back for our open regatta next year.